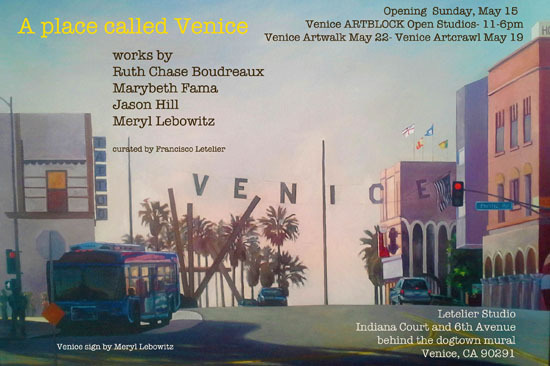 “A Place Called Venice” Celebrates the Vibrant Creative Spirit of Venice! 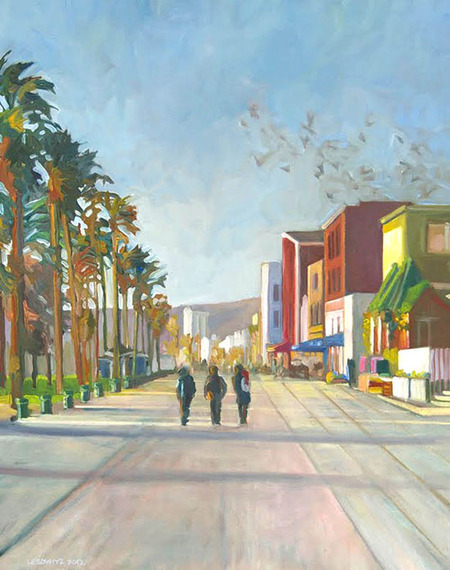 Venice Beach is home to a plethora of artists and creative people. Noted artists such as Ray Bradbury, Judy Baca, Philomene Long, Manazar Gamboa and Eva Cockcroft have all been part of the legendary art community by the sea. Numerous art groups have also arisen from the local community. One such group attracting notoriety is Venice ARTBLOCK, created in 2013. Endorsed by cultural and civic organizations, ARTBLOCK is a grantee of the Arts Activation Fund, created by Mayor Eric Garcetti. The artist run organization encourages Venice artists to open their studios and participate in the free event presented twice a year. An inclusive event, it spotlights artists of all disciplines who contribute to the quality and character of Venice. Marybeth Fama creates intimate paintings of everyday life. Imbuing a magical quality to the commonplace, the artist has recorded iconic places and people for decades. With faultless craft, Fama captures scenes that are often overlooked, pushing viewers to recognize timeless characteristics of Venice life. 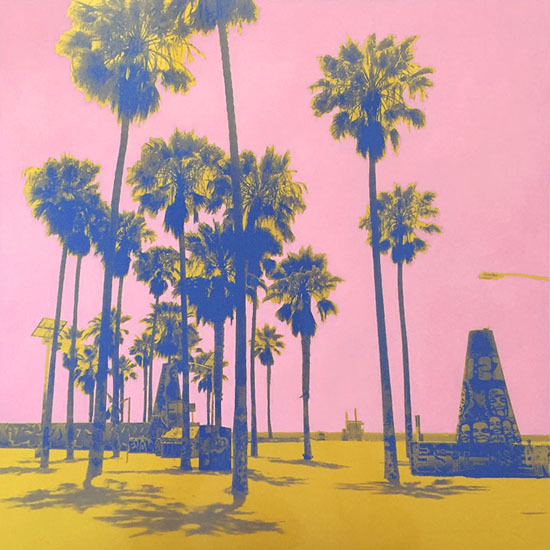 Jason Hill offers hand-painted photographic prints of the Venice Art Walls that capture the vivid, saturated color of the iconic public art walls in a unique style that is both timeless and reminiscent of Venice’s early days of surf and skate culture. Meryl Lebowitz demonstrates her perfected mastery through paintings of Venice streets, neighborhoods and vernacular architecture, inviting viewers to celebrate, remember and imagine a place called Venice. Her subjects are familiar, but their appeal is universal. Originally from Vermont, but now based in Venice, her award winning work can be found in collections throughout the United States.